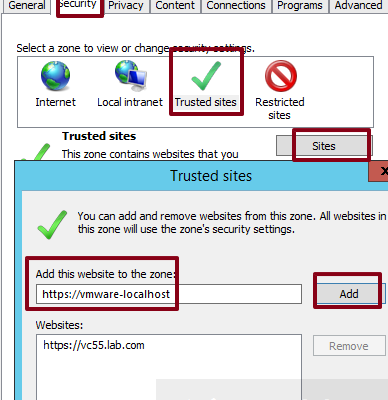 Run the VMware-VCSA-all-6.0.0-3634788.iso on a windows 2012 R2 server to deploy a new 6.0 VCSA (embedded PSC). 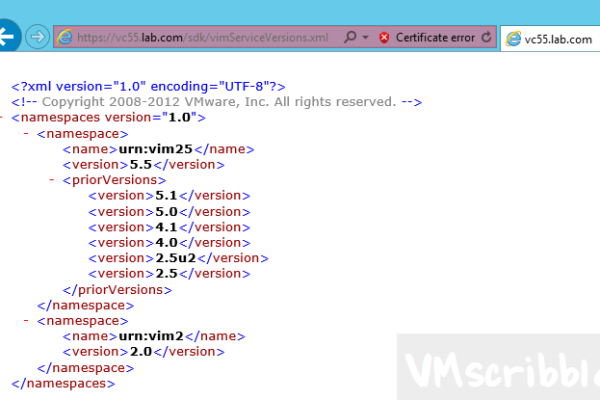 The new VCSA VM will be in an existing 5.5 vCenter. 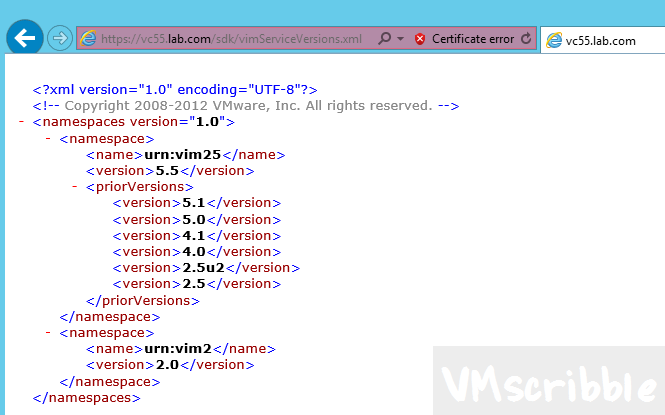 [INFO] Request 127 – [ovf: xxxx.execute: Received. [INFO] Request 129 – [session: session].ping: Received. [INFO] Request 131 – [session: session].ping: Received. [INFO] Request 132 – [session: session].remove: Received. Re-Run the install, but only enter 1 DNS server and NTP server. 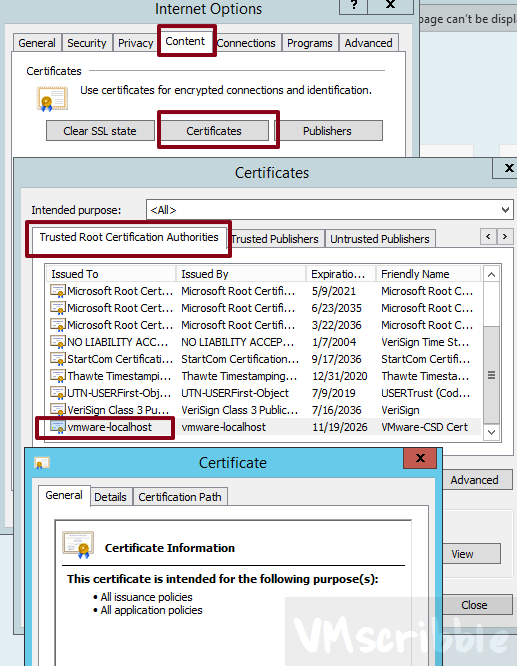 Validate the forward and reverse look ups work on the win 2012 server your are RDP’ed into. 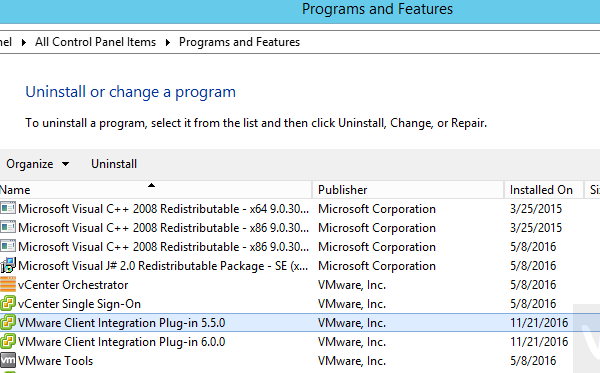 Un-install ALL Client Integration Plugin’s (CIP). I had version 5.5 along with 6.0. 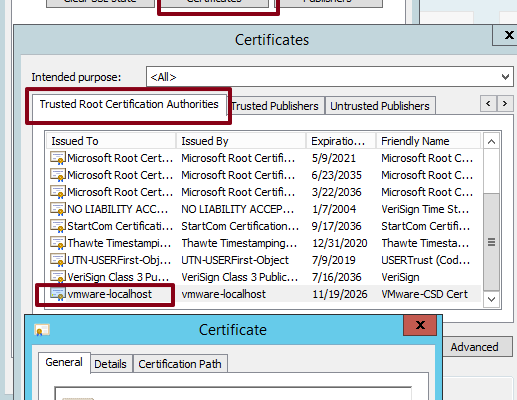 Ensure the vmware-localhost certificates does NOT exists. Note- This step was my fix. 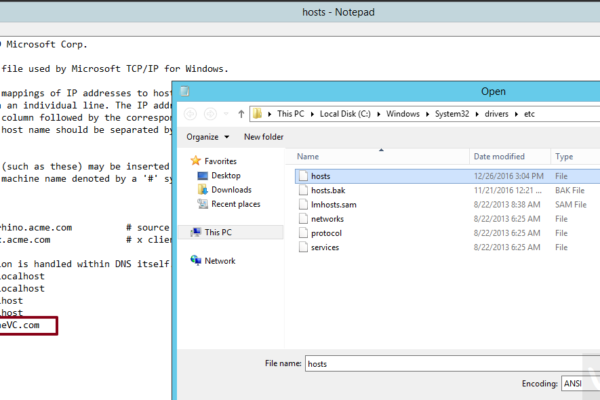 In the hosts files on the win 2012 server that you are running the deployment from; add the FQDN and IP of the destination VC. 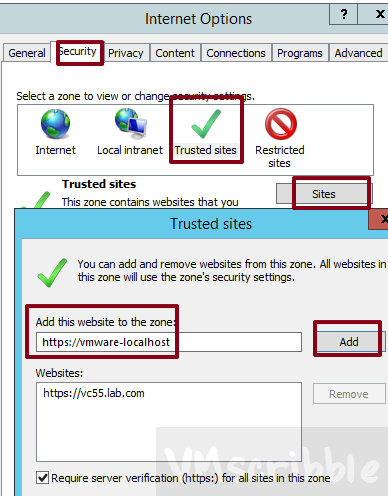 Validate the URL below (for your destination VC that this VCSA is being deployed to) loads in the same web browser.